Trentham - Part 1. 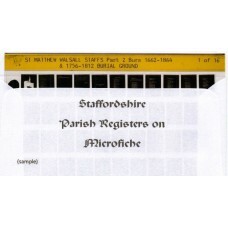 Parish register transcripts 1558 -1784 Including Blurton, Hanford, Clayton Griffith, Hanchurch and Butterton, Cocknage and Mereh..
TrenthamParish register transcriptsPart 2. 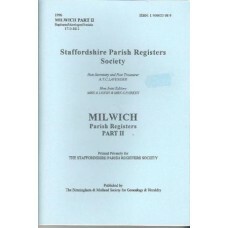 (Inc. Blurton Chapel) Baptisms 1780 -1812Marriages 1706 -1812Burials 1744 -1812This is a downloadable ..
Trysull All Saints Parish Register Transcripts Part 1 - Baptisms, Marriages & Burials 1558-1772 Part 2 - Baptisms 1772-1855, Marriages..
Trysull All Saints Parish Registers CD Format Baptisms, Burials and Marriages 1558-1772 Also available as a downloadable pdf file ..
Weeford, Staffordshire Parish Register transcripts Baptisms 1562-1812 Banns 1767-1779Marriages 1563-1812Burials 1562 -1812 This is a download..
West Bromwich All Saints Parish register transcripts Part 5 - Baptisms, Marriages and Burials 1608 -1658 This is a downloadable PDF fil..
Weston-Under-Lizard Parish register transcripts Baptisms, Marriages and Burials 1654-1812 This is a downloadable PDF file File will be..
Willenhall, St.Giles Parish Register Transcripts Part 2 Baptisms 1746-1778Marriages 1753-1761 Burials 1727-1778 This is a dow..
Wolstanton St. Margaret Parish Register Transcripts Baptisms, Marriages & Burials 1624-1812 This is a set of 2 downloadable ..
Wolverhampton St.Peter Part 2. 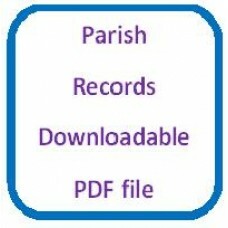 Marriages 1660 - 1734 This is a downloadable PDF file With Clickable Index (approx. 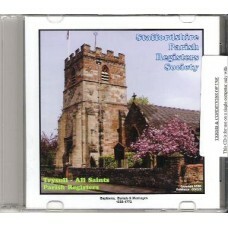 14MB) File will be a..
Wolverhampton St.Peter Part 3. 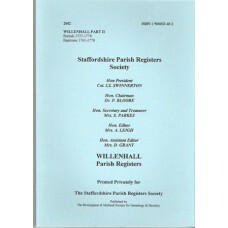 Marriages 1735 - 1776 Parish register transcripts This is a downloadable PDF file With Clickable Index (..
Wolverhampton, St.Peter; Part 1. 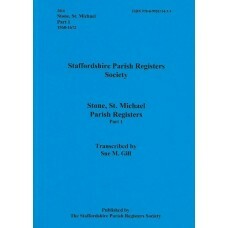 Baptisms 1542 -1659, Marriages 1538 -1652 & Burials 1539 -1660 Parish register transcripts With..
Stone St. Michael Parish register transcripts 1568-1672 274 pages Book format, also available as a download Published by the Staffordshire..
Milwich Parish Registers Part 2 Baptisms, Marriages, Burials 1713-1812 Also Part 1 Index Staffordshire Parish Registers Society..
Willenhall Parish Registers Part 2 Baptisms 1761-1778 and Burials 1727-1778 Published by the Staffordshire Parish Registers Societ..
Parish Registers on microfiche Grindon, All Saints; Baptisms, Marriages, & Burials 1679 -1812 Also available as a downloadable pdf ..
Parish Registers on microfiche Hints, St.Bartholomew; Baptisms, Marriages & Burials 1558-1812 Please note: Microfiche require ..